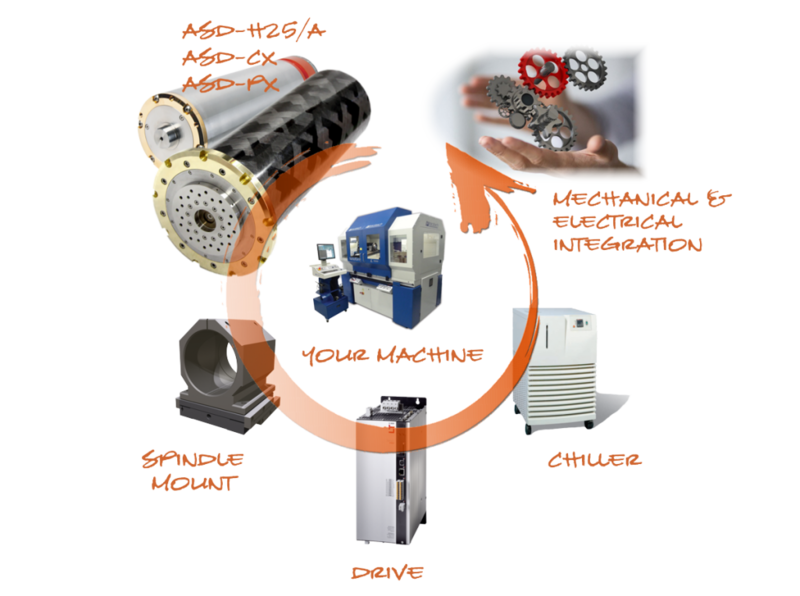 The integration of a tool spindle into a CNC machine tool requires much more than just a mechanical installation. The communication to and from the drive and the machine PLC, the wiring of the motor, air filtration and spindle liquid cooling need to be taken care of. 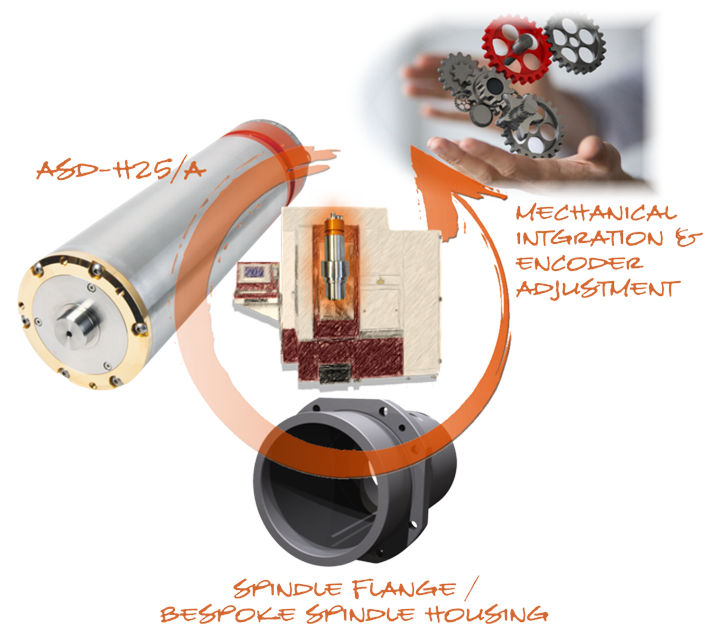 This also should make clear that spindle performance and accuracy not only rely on the spindle itself. 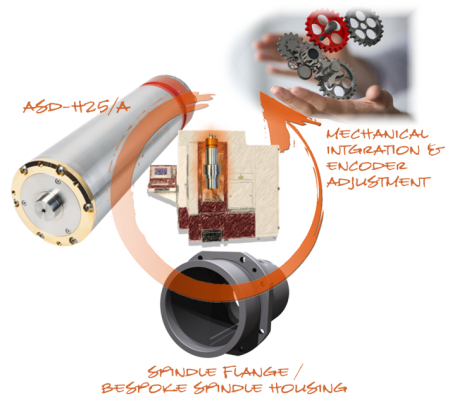 Feel free to contact us for your personal spindle integration solution. 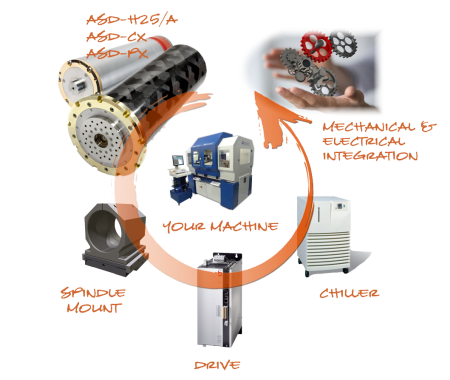 Quite often customers want to use a machining spindle regardless of the machine or on multiple machines. Again, an air conditioning and safeguards are needed in addition to a radiator and inverter. 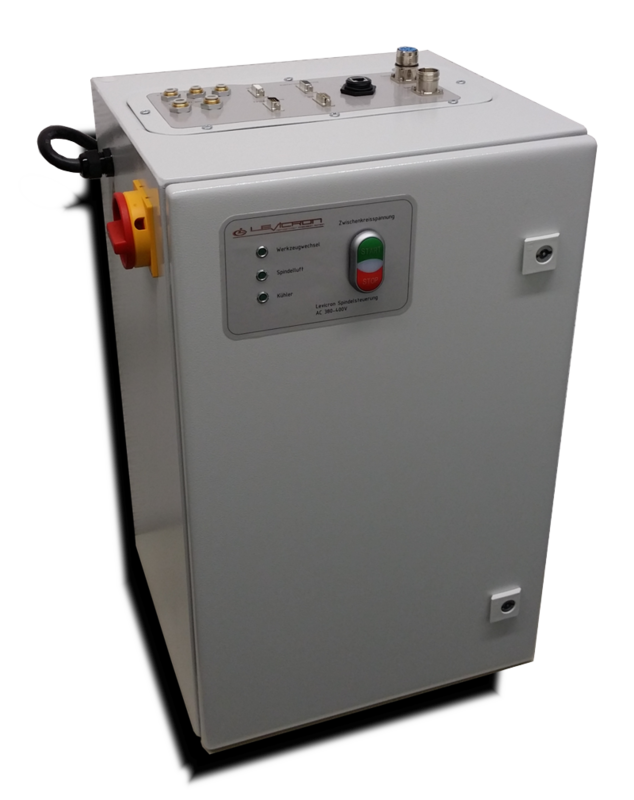 Levicron is providing a autonomous supply cabinet to which is connected to the spindle and the radiator, and takes all necessary tasks such pressure monitoring, air filtration or monitor the clamping state.